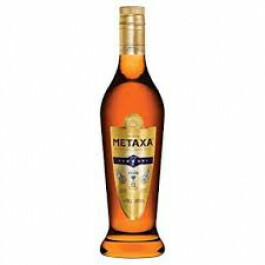 Metaxa 7 Stars brandy is a smooth blend of Metaxa contains distillates aged up to 7 years, traditionally served meat, on the rocks, with tonic or mixed. Metaxa 7 Stars brandy is a smooth blend of Metaxa contains distillates aged up to 7 years, traditionally served meat, on the rocks, with tonic or mixed. .